Irish President Michael D. Higgins attended a concert held in Dublin on Feb 6 night to celebrate the Chinese New Year, which fell on Feb 5 this year. This is the first time that Higgins had attended a China-related function publicly since his re-election as the Irish president in late October last year. 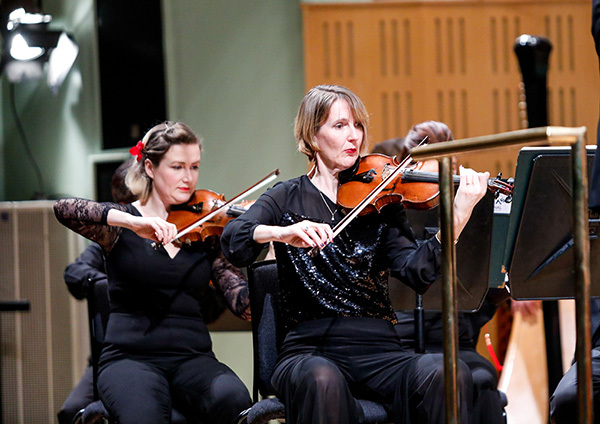 Accompanied by the Chinese ambassador to Ireland Yue Xiaoyong, Higgins watched the concert together with an estimated 800 people in the National Concert Hall, the principal venue for classical music concerts in Ireland. Jointly organized by RTE National Symphony Orchestra and Beijing Performance & Arts Group, the concert feasted the ears of the local audience with a number of masterpieces created by famous Chinese and foreign composers. The Chinese pieces performed at the concert by three Chinese female musicians in collaboration with RTE National Symphony Orchestra were mainly works from Ye Xiaogang, a well-known composer in China, who is also the chairman of Chinese Musicians Association. They included Ye's Sichuan Image, a symphony consisting of 30 short etherealized music clips which vividly portray the beautiful scenery in China's southwest Sichuan province which is abundant in mountains and rivers, and Starry Sky, a piano concerto which Ye created for one of the performances staged at the opening ceremony of the 2008 Olympic Games in Beijing. Conducted by Jose Serebrier, an eight-time Grammy Awards winner who is now in his 80s, the two-hour-long concert also mesmerized the audience with the performance of the masterpieces from Russia, Argentina, the United States and Spain. 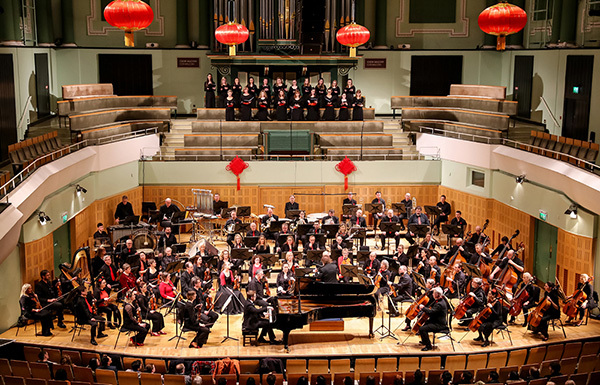 The concert is part of the on-going Dublin Chinese New Year Festival which kicked off at the beginning of this month and will last till Feb 17. Initiated by Dublin City Council, the festival has been held for 12 years in a row and has become a major recreational event in the city which annually attracts tens of thousands of local residents and overseas tourists. In a message sent to this year's festival, Irish president Higgins praised the positive contributions played by the members of the Chinese community for a multicultural Ireland and wished all of them a happy and prosperous new year.